Many years ago, Oracle basically set the standard in SQL. Whatever was Oracle SQL could be seen as the standard. This has never been absolutely true – ANSIÂ SQL was different from Oracle SQL. In some respects the differences can be traced back to lack of functional richness in the standard. 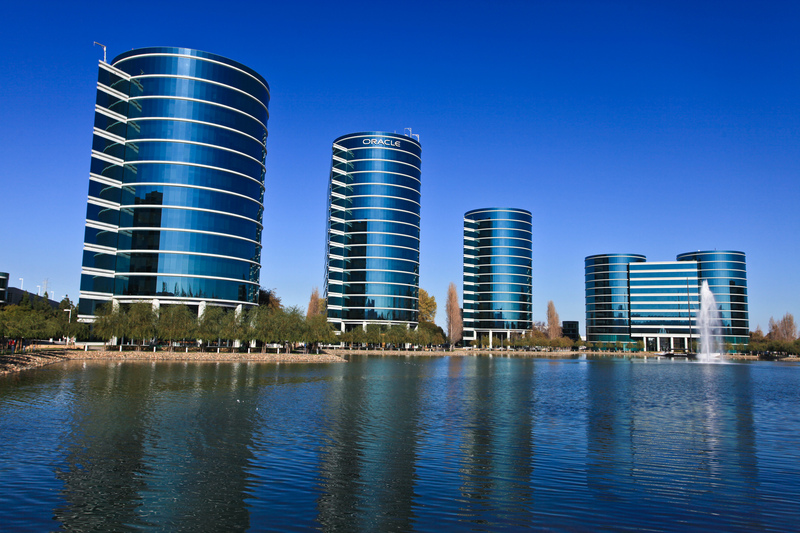 However, in certain areas, Oracle has walked its own path with certain functions and features with the rest of the RDBMS pack following another route. It seems to be as if starting with Oracle RDBMS 9iR2, Oracle has made several important steps towards embracing the ANSIÂ SQL standard syntax, usually while maintaining its own specific flavor of those same functions. The 11gR2 release has another example of Oracle specific SQL that is now complemented with the ANSIÂ SQL standard approach:the CONNECT BY syntax for hierarchical querying that can now be replaced by the ANSIÂ SQL standard Recursive Subquery Factoring clause, which is an extension to the WITHÂ clause introduced as long ago as Oracle7 and still relatively underused by Oracle SQL developers. The table I will use for demonstrating this new syntax is EMP. The records in EMP refer via their MGR column to other records in EMP, allowing us to create an organization hierarchy starting with KING – an employee without manager – and traversing the org-chart all the way down. This syntax has been available – in this very Oracle proprietary way – from the very first releases of the Oracle RDBMS (release 2 or 3). Later releases add some niceties to hierarchical queries, most notably the Oracle RDBMS 9iR2 and 10g releases. This Recursive WITH clause is ANSI. SQL The introduction of this syntax in 11gR2 makes Oracle ANSI-SQL-compatible for recursive queries. It looks a little complex at first. And it is more lines of code – so how can it be better? Well, give it a moment or two. When we look at more complex hierarchical queries and the use of the specials like sys_connect_path and the connect_by_root some advantages of this syntax will start to shine through. each iteration uses the the collection of all nodes retrieved by the first subquery (the root nodes) and all previous iterations. that means for example that the first iteration of Â select e.empno, e.ename fromÂ Â emp e cross join employees m on (m.empno = e.mgr) has the root-node KING to join with from the employees set. The second iteration will have the other managers serving under KING to join with. With this understanding in our heads, could we then come up with the syntax we need for retrieving what we can do with the Oracle goodie SYS_CONNECT_PATH, the path from every tree node all the way up to its root with node values added to a string concattenated together for all nodes in the path? This will select ‘KING’ as path for the first node and then for each node deeper in the tree take the path value from the parent node and add ‘/’||ename to it. In later articles we will look at the more advanced aspects of the new recursive subquery factoring syntax and functionality. Just for community update. Issue raised by me in comment #19 has been accepted by Oracle as a defect. Oracle has provided a patch for the same for Linux environment. Some more info. In this query, CONNECT BY PRIOR is used at two places. It’s the second occurrence that is reporting an error. Only difference between the two is that later is part of an INNERT JOIN condition. Is this valid? Indeed you are right. Query mentioned above does work. However, following query which was working earlier on Oracle 11.2.0.1 doesn’t work on 11.2.0.3. My apologies for generalizing it with my assumption. My table structure is as shown below. Here goes the query that fails. Cause: LEVEL, PRIOR, or ROWNUM is being specified at illegal location. Action: Remove LEVEL, PRIOR, or ROWNUM. In above query, only suspect is PRIOR keyword. Concern here is that the same query was working fine with previous Oracle releases but failed for Oracle 11.2.0.3. Why? I do not think Oracle will ever desupport CONNECT BY PRIOR, do not fear. Could you describe the exact table APP_BRANCH that you are running this query against? I can see no apparent reason why your query should not work. Does it mean that CONNECT BY PRIOR will not be supported by next versions of Oracle11g? I put this question because I’ve already got following error after upgrading Oracle server from 11.2.0.1 to 11.2.0.3. Till now I could not find any official documentation from Oracle that conveys the same. Any pointers or help appreciated. Also, what could be an alternative ANSI query? Thanks Michiel for you suggestion for the alternative to CONNECT_BY_ROOT. If you take a look at my response to Adamp, that may already give you your answer. Nodes will not be revisited. However, that may mean you will not have the data you need. Could you please send me DDL scripts for your table structure and the query you would be using with CONNECT BY if that would work? Then I can take a closer look at what you are exactly asking for. When a node is encountered for the second time, it will be includedÂ in the result set, its column value IS_CYCLE (a new column I am introducing with the statement above) is set to Y and the recursion stops then and there – so there will not be a second iteration starting at this node. Note however that any node where a cycle starts is included in the result set twice. A common problem with product structures (or bills-of-material) in product management tools, is a query that will return all parts, past and present. By past, I mean “revisions” of the assembly structure.Â Each assembly node at each level may have many revisions.Â As a practical matter, the most of the data is repeated revision to revision.Â This means that CONNECT BY wastes a lot of time revisiting nodes in the tree – actually, most cases it never finishes.Â So to handle this problem I have resorted to doing the recursion in logic, keeping track of visited nodes and skipping them if encountered again. Are there any feature in 11g that implement a “don’t revisit node” approach?Â Or can the new WITH syntax implement this approach? Is there any way to protect against loops like the NOCYCLE clause does for the CONNECT BY syntax, or does this already protect against loops somehow? “I assume it is equally fast â€“ though it may be a little bit faster (I have not tried it out)” – can you try it out ? Normally you would have an index on MGR, connect by would have used it to good effect. Also, try with walking up and down the tree and not just starting at root level. Very good article! I was wondering if I could run past you a problem that requires a recursive SQL such as this. Would this be ok? I assume it is equally fast – though it may be a little bit faster (I have not tried it out) – especially with functions like SYS_CONNECT_BY_PATH and the likes. More importantly: it is functionally richer. And no, it will not work on 10g – it is an 11gR2 feature that is not available in previous releases of the database. Is this query any faster than the Connect By? Will it work in 10g? Hi Joaquin, You are quite correct: the cross join syntax is incorrect. Cross Join are cross joins and do not need/work with the ON condition. I have updated the article likewise. Thanks for pointing it out to me. Hi Mladen: the syntax will grow on you, trust me! I had that same initial difficulty with this syntax. And I remember feeling similar about Analytical Functions. And boy, have I gotten used to them later on! I trust that this recursive subquery clause will in the end prove more intuitive, especially when it comes to extras like sys_connect_path and connect_by_root. However, the good old connect by syntax will be supported for a very long time (just like the (+) legacy outer join notation or the decode statement. Horrible, almost uniteligible! Hopefully, Oracle Corp. will not de-support CONNECT BY anytime soon. Nice post. Thanks a bunch for this recap.